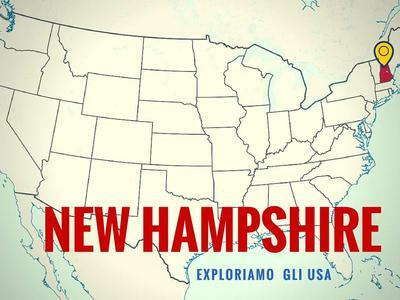 The New Hampshire has been - in 1776 - the first of American States to declare its independence from the English motherland and the first to adopt an autonomous constitution. The state provides good level of infrastructure thanks to a well-developed road and motorway network of over 25,000 km and the availability of 4 airports. The capital - Concord - is a small town of just 42,000 inhabitants and also the other two main cities of the state are small, Manchester and Nashua with respectively 110,000 and 86,000 inhabitants, but residents are considered quite lucky because - looking at the indicators - the quality of life in New Hampshire is great: the average per capita income of over 60 thousand dollars a year, unemployment is below the national average (standing at 4.9%) and, more generally, the environment is favorable to do business. The tax system can be considered the flagship of the State as there is no consumption tax, income (dividends and interest rates are taxed at 5%), capital gains, machinery and equipment industrial, no tax on real estate as well as any registration fee can not be detected. Clearly this situation is offset, at least partially, from local taxes even if the New Hampshire remains one of the states with the lightest taxation within the Union.